President Obama gave an influential speech on counter terrorism and national security policy last week, and while much of the media coverage discussed the President remarks on Guantanamo prison and drone strikes, buried in the speech was a line just as critical to civil liberties online. We certainly agree with the president we need new privacy protections for our digital communications, and it’s encouraging to hear him suggest support for such proposals. After all, we know the vast surveillance authorities given to law enforcement over the last decade’—like the Patriot Act, FISA Amendments Act, and National Security Letters—have been serially abused. Unfortunately, President Obama has actively defended these laws and policies in Congress and the courts, despite promising to reform them as a candidate. There are still many measures his administration could support in the coming months to protect Americans communications. The White House could formally support reform of the Electronic Communications Privacy Act, which still says law enforcement agencies do not need warrants to obtain emails over 180 days old. The White House could come out in favor of warrant protection for cell-phone location information since it’s requested by authorities literally millions of times a year without a warrant. In the wake of the Associated Press scandal, Obama could also support a bill to require a court order for call records of all Americans. But the first half of Obama’s statement—about “review the authorities of law enforcement, so we can intercept new types of communication”—is quite troubling. The line is likely an allusion to CALEA II, a dangerous proposal the New York Times has reported the administration “is on the verge of backing.” The measure would force companies like Google and Facebook to install backdoors in all of their products to facilitate law-enforcement access, putting both our privacy and security at risk. Law enforcement certainly doesn’t need more legal authorities to conduct digital surveillance. As mentioned above, Congress has already been provided a huge amount of new surveillance authority that has been abused. As former White House Chief Counselor for Privacy Peter Swire said in 2011, "today [is] a golden age for surveillance." Indeed, it seems that the law enforcement is working at cross-purposes with the folks concerned about actual cybersecurity. Just a few months ago in his State of the Union address, Obama himself talked about hackers who steal people’s identities and infiltrate private e-mail” and “foreign countries and companies [that] swipe our corporate secrets.” Requiring real-time back doors into all of our communications would make those kinds of attacks easier. Recently, a group of more than a dozen of the nation’s best cybersecurity experts published a paper explaining why such a proposal would be a disaster for Internet security, giving hackers all over the world a central point of vulnerability to target. And of course the FBI has still failed to put forth any evidence showing a bill to “intercept new kinds of communications” is needed at all. According to government statistics, from 2006-2010, the FBI has been ultimately thwarted by encryption zero times in their criminal investigations. 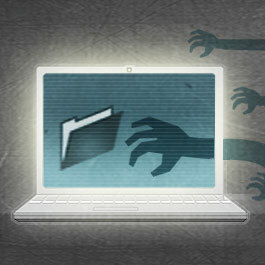 Citing privacy concerns, the White House commendably has threatened to veto CISPA, the cybersecurity bill. It should also jettison this ill-conceived CALEA II proposal in favor of privacy and security. Email and call the White House today to tell them you oppose any plan to make Internet companies build government backdoors into your communications.